Don't have insurance? Click below for more information. How does my insurance coverage work for fertility treatments? 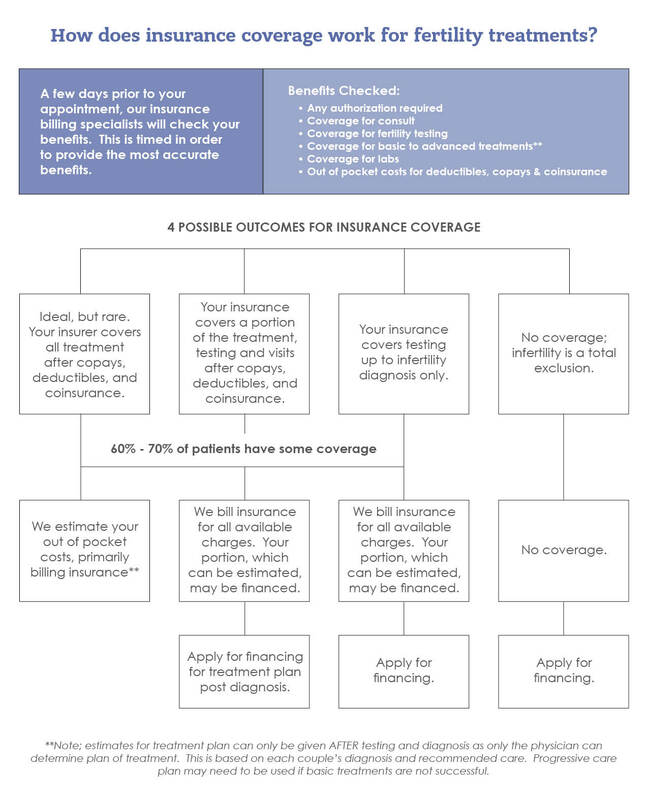 Health insurance coverage is a complicated subject. Coverage for infertility treatment varies from plan to plan and from insurance company to insurance company. Florida law does not mandate your insurance company to cover fertility evaluation or infertility treatment costs. It is very important for you to research what your insurance plan covers in terms of evaluation and treatment of infertility, either online or by calling the insurer or benefits representative, or both, before your first visit. We understand that dealing with insurance companies about your infertility insurance coverage may be intimidating at first glance. To protect yourself from fees that may not be covered by your insurance plan, you should obtain written verification of your benefits. Insurance companies have specific guidelines to help you determine the extent of your fertility benefits. They are required to provide you with this information. Typically, the information is given only in response to specific questions asked by the insured (you) and some important information may be omitted unintentionally. Document the date and time of your phone call. Request confirmation of your specific benefits. Review your benefits booklet (you should be able to obtain from your employer if you are part of a group plan.) Copy the section that pertains to infertility benefits. Please understand that if treatment is not covered by your insurance plan, payment is due to The Reproductive Medicine Group at the time of service. What should I ask my insurance company about fertility treatment coverage? Is my policy for diagnostic service only? Is Diagnostic Code N97-9 covered? Do I have coverage for the treatment of underlying conditions that may be the cause of my infertility? Is CPT codes 58322 & 58323, for IUI, with diagnosis code V1 covered? Is Advanced Reproductive Technology – using CPT codes 58970, 58974, 58976 for aspiration/retrieval and transfer, 89250 through 89280 for embryology labs, and the diagnosis code N97-9 covered? Is there a pre-existing clause on my policy in reference to infertility treatment or surgery procedures? Do I have any drug coverage for infertility treatment? If yes, where? (mail order or local pharmacy) What drugs? (i.e. Bravelle, Follistim, Gonal F, Lupron, Menopur). If you have a separate carrier for your medications, please provide your prescription benefit card to our staff so that we can assist you in maximizing your medication coverage benefits. The physicians of The Reproductive Medicine Group are Infertility/Reproductive Endocrinology Specialists. 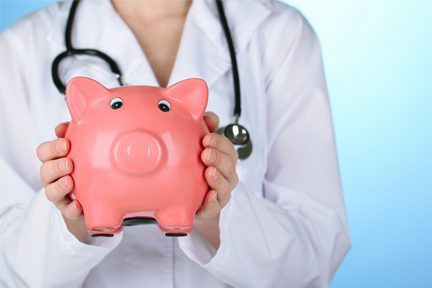 If you have a specialist co-pay/co-insurance or if the deductible has not been met on your policy, you will need to pay this amount for covered expenses. It is our desire to help you overcome your fertility issues with the least amount of stress possible. Even so, we cannot code evaluation or fertility treatments under alternative diagnostic codes as that would be insurance fraud. Please do not place our office staff or physicians in the unfair position of having to decline a request to provide false information to your insurance company. If you are being seen by our physicians for non-infertility medical issues (endometriosis, recurrent pregnancy loss or other reproductive endocrine health concerns) your diagnostic code will indicate this information. If your insurance company does not provide fertility benefits, options do exist for fertility financing. Please refer to the Financial Assistance section on our website for more information on these programs. Aetna: Basic, PPO, POS, HMO, EPO, MC (Managed Care). Please note if you have any Aetna product other than a PPO, you must join the Aetna Infertility Program by calling 1-800-575-5999 before scheduling appointments at our facility. RMG is a member of the Aetna “Institute of Excellence” network. RMG is a member of United Health Care’s (Optum) “Fertility Solutions Center of Excellence”. Services provided in our ambulatory surgical center will be billed separately. Our ambulatory surgery center may or may not participate with the same health insurance carriers as your physician. Our ASC offers a list of participating insurance plans. If you are unsure whether the Reproductive Medicine Group physicians contract with your insurance company, contact the member services department at the telephone number listed on your insurance card. Give them the name of the physician and our tax identification number, 59-3172722. They will let you know whether we are participating with your specific insurance plan. Your insurance company may require an authorization or referral from your Primary Care Physician before you can be seen in our office. If your policy requires an authorization or referral, please know you are responsible for making sure that the authorization or referral is received by our office before your appointment. The Reproductive Medicine Group are proud members of Optum (United Healthcare) “Fertility Solutions Center of Excellence” and Aetna “Institutes of Excellence” networks.